Celebrate Oktoberfest with Sausage, Beer and Top Chefs at the 6th annual Fraser Valley Food Show at the Abbotsford Tradex Trade and Exhibition Centre on Friday, October 4th to Sunday, October 6th, 2013! 2nd annual Great Canadian Sausage Making Competition - Dozens of professional sausage makers from all over B.C. will offer a total of over 100 sausage entries in 12 different categories, ranging from chorizo to bratwurst. Sausage competition sampling for the first 500 visitors on Saturday, October 5 at 11:30am, which includes a glass of Erdinger Gluten-Free Beer for adults aged 19 and older (4 tasting tickets or $2 each). 11th annual Master Chef Competition - Watch 17 chefs as they compete for the title of Master Chef in a head-to-head heated competition. Each chef has only 35 minutes to prepare a main course from only the mystery foods a box contains. 1st ever Gluten Free Living Show - Show will highlight gluten-free products from manufacturers and a wide range of food producers. Guests can discover, taste, learn from, and buy these hard-to-find items. The Bite of the Valley - Taste menu selections from some of the Lower Mainland’s favourite restaurants for no more than $4.00 per appetizer-size portion. 2013 participants include: An Indian Affair Restaurant, Dunn’s Famous BC, Frankie’s Italian Kitchen & Bar, Jamaican Pizza Jerk and Roasted Grape Café. 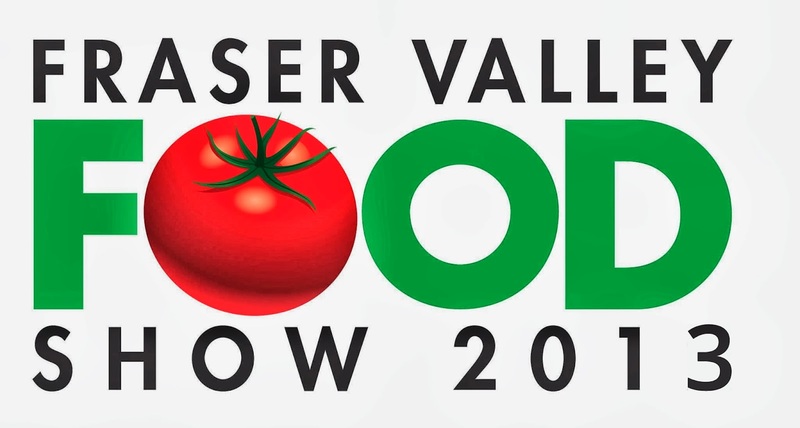 Fraser Valley Food Show has generously offered my readers a chance to win tickets to the show! We're giving away 1 pair of tickets! The giveaway will end on Wednesday, September 25th, 2013 5:00pm and the two winners will be notified the following day. Good luck! UPDATE: Congrats to @geekymath ‏@tlee351 on Twitter!